Building a successful career needs proper planning at the tender age of your career’s life, when you do so it provides you the opportunity you need to organize your life and succeed in a country like Nigeria where almost all career looks very competitive. That’s why this article is here to give you the step by step guide you would need to build a successful career in Nigeria without regretting. Many people have tried to define what building a successful career should be but the main fact is that for you to have a successful career you should be doing what you are passionate about, something that you are satisfied with, something that gives you joy even when the money is not there and something that is relevant to people in the society you live in. Defining Your Passion means that you should find out what you can really do, it means you should sit back and think of what you can really do. You should think of what you can do at a long run, without being tired when trials and tribulation comes, you really need to think about this. If you really want to build a successful career in Nigeria you have to overcome all the challenges you see, because there would be a point in time when things would look as if the world turned against you, but I tell you that with “passion” you will just keep going forward in your career. The world possesses over 6 billion humans and in fact let me not go too far, Nigeria has over 170 million people. That’s quite a large population right ? 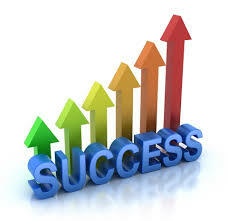 You have to ensure that your career is one that gives people value, that’s the true definition of success. The job or business you do should be able to have effect on a segment of people if not all. In the world of today where everything is competitive, you need to go an extra mile by working harder to achieve your dreams in your career. When you work hard, it would be easy to climb the ladder of success in your career. They may say smart work pays but hard work doesn’t but it’s not true, you have to work hard to achieve success in our career. 1 million people may be working towards the same direction in your career, but you can still make a difference by proving the relevance of your career to the society. Work towards being relevant to the society and you would succeed. There may be much deceptive perception out there that tell people that they can just succeed in whatever they do just like that, but that’s not true. For you to excel in your career in Nigeria, you have to educate yourself more in order to perform better than your peers in the same field. For you to excel in your career, you have to collaborate with other people that are in your field or like-minded in your office or company, this makes others gain confidence in you and entrust you with things and decisions. Now there is Google to search for whatever thing you want, basic information of all you need is online. All you have to do is pick up your internet enabled device and make research. Many Nigerians today have access to the internet and this helps anyone who wants to access any information, so you have to know more than others in your field in order to be easily elevated and be better in your career circle. You might have made plans as far back as 2009 to make some progress in your career but with the way things are going, technology is evolving everyday and you need to make plans that suite what is trending in the world of today, this applies mostly to people whose jobs are ICT related. You must be up and doing and ready to change plans at any point in time in your career, so note that this tip “re-strategizing your plan” is very useful as it would help you in building a successful career. In this life, you have to keep encouraging and reminding yourself about what you want to achieve and this is very applicable in building a successful career, because at one time or the other you may experience setbacks and all that would be needed is a reminder of your aim in life, because this is what drives you and make you not to give up. Many people in Nigeria and even other parts of the world are shy of sharing their “career” problems either with their family members or even their colleagues at work. This is not a good way of life, storing up all the problems in your small head may make you to be depressed and that is equivalent to sickness. When you are sick you would not be able to progress in anything you do that is why sharing your problems is necessary. There is an adage that says a problem shared is a problem half solved , that is why sharing your problems with your families and friends who will listen and would try to proffer solutions is necessary. Wow, we have successfully taken a look at 10 tips that would help us to build a successful career in Nigeria, now let me give the summary of these ten tips: define your passion, find out what you can offer to the world, be hard working, make sure your career is relevant to the society, educate yourself, work as a team, make research to find out new ways of doing things, re-strategize your plan, have a reminder of your aim and share your problems if you have any. Thank you for reading this piece, I hope you found it useful and you must have added one thing to your initial knowledge. Please drop your comments below let me know what you have in mind.